The teenage years can be a demanding time for both youth and their families. Adolescents face increasing academic responsibilities and new social pressures, even as they grapple with rapid physical, cognitive, and emotional changes. While some thrive in the face of these challenges, other teenagers begin to experience difficulties. Depression, anxiety, poor school performance, eating disorders, substance abuse problems, and conduct issues all may manifest themselves during the teen years. Conflict within families may increase as teenagers alternately reject adult direction, demand more privileges, and engage in risky and irresponsible behavior. Mental health treatment can effectively address many of the challenges that teens and their families face. Many teenagers, however, balk at the prospect of mental health treatment. Some teens feel threatened by the prospect of sharing their feelings or changing their behavior; others feel embarrassed or put down by the suggestion that they need help. Ask what your child’s specific concerns are about attending therapy and explore each of them in turn. Your teen will probably be more open to your ideas if he or she feels understood. Be careful to use non-threatening language in describing therapy. Many teens experience terms like “mental”, “treatment” and even “therapy” as pejorative and blaming. Words such as “counseling” and “guidance” usually feel more palatable to them. Avoid framing counseling as a way of “fixing” your teen. Describe it as primarily a way of assisting people in improving their lives. Assure them that you will work with them to find counseling that will aim to address any particular concerns that they may have. Assure them that they they will come only so long as they are benefiting. Agree that, if they are not making progress, you will look with them for alternatives to address any remaining issues. Consider the full range of therapeutic modalities. Teens that are wary of being labeled as “the problem” might be more accessible to a family therapy approach that views issues in terms of family structure and communication. Teens who are particularly concerned about confidentiality and/or threatened by the prospect of communicating with their family might feel more comfortable with an individual therapist. 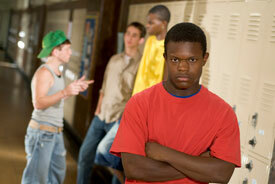 Other teens may feel more comfortable in group therapy. Involve your teen in the search for a counselor. Be clear that it is important to you that he or she feels comfortable with whoever works with them. Many therapists offer free initial sessions to those in search of a good “client-counselor fit”. When teens feel that they have been part of the decision to enter therapy, and view it as a way of addressing their needs, they are often open to using it to address serious matters of concern, and are usually much better positioned to benefit from the work.